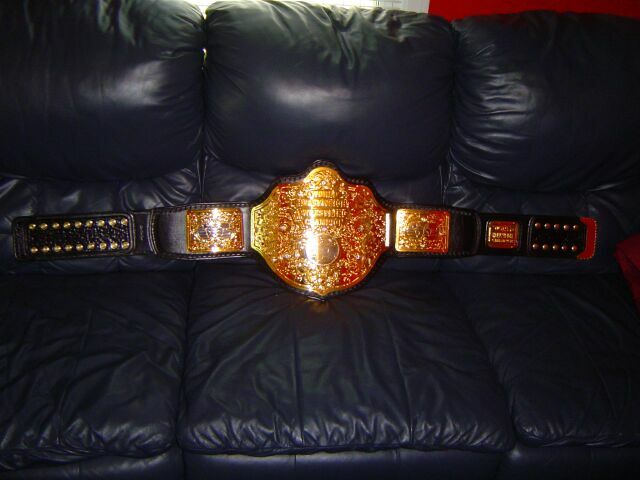 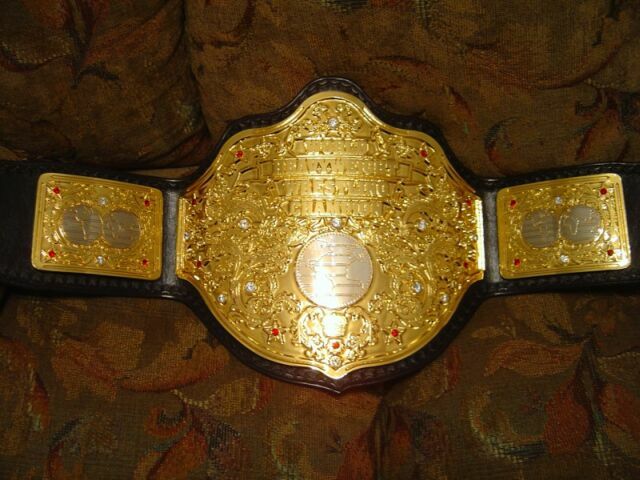 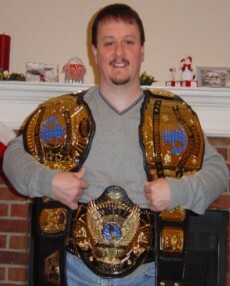 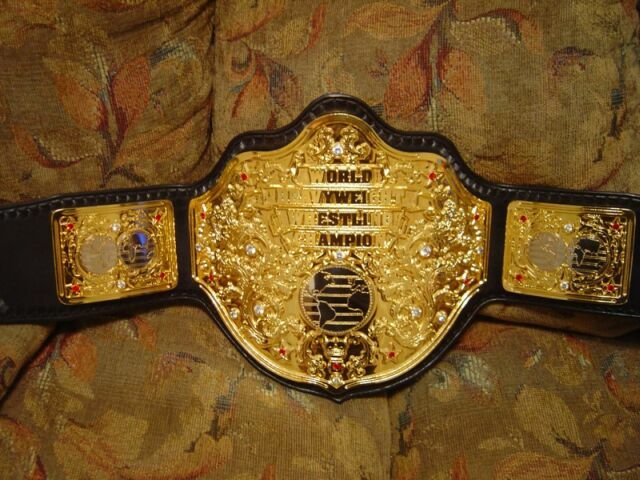 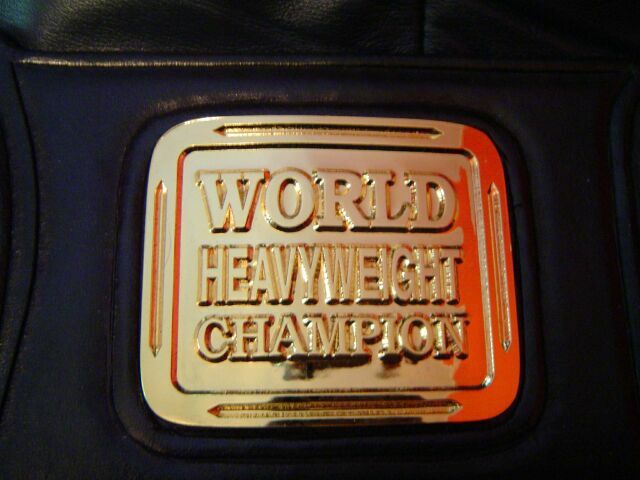 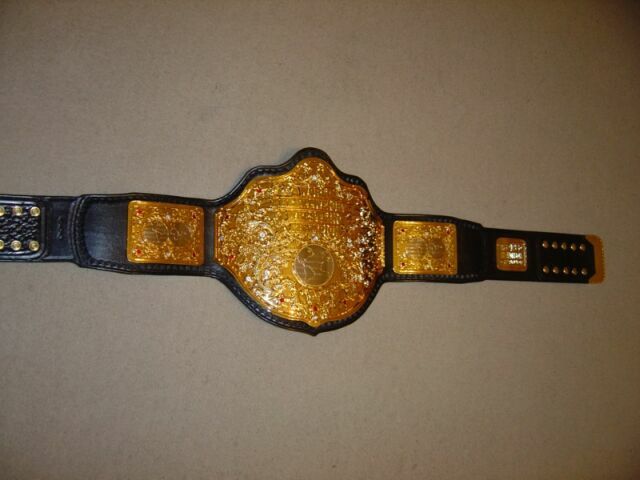 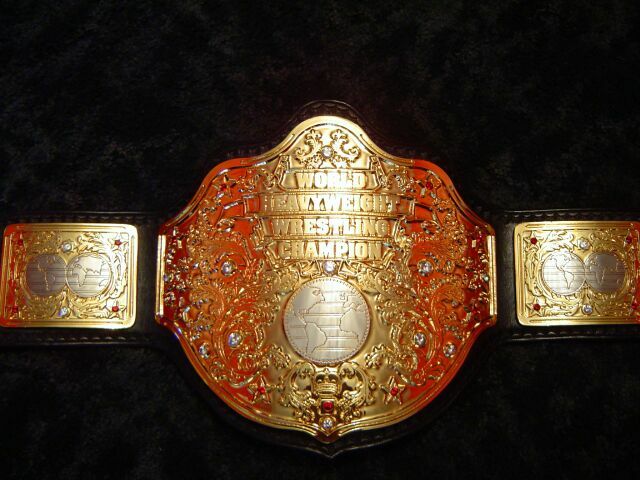 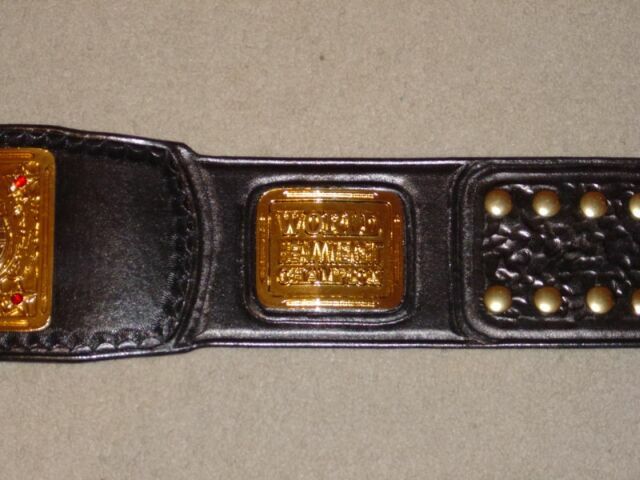 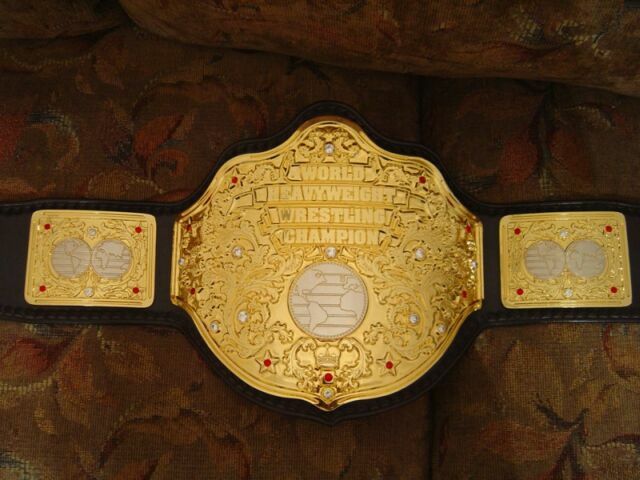 Here are pictures of Erik's World Heavyweight title known as the Big Gold. 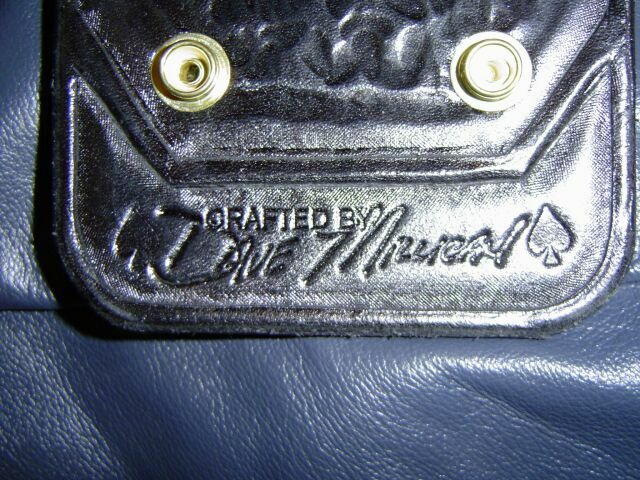 This one sports a 3 plater with logo plate and tip. 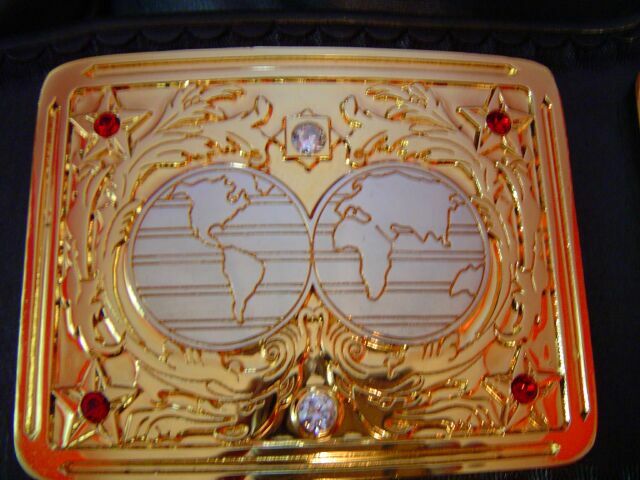 The plates have also been dual plated and carries 30 real gems!